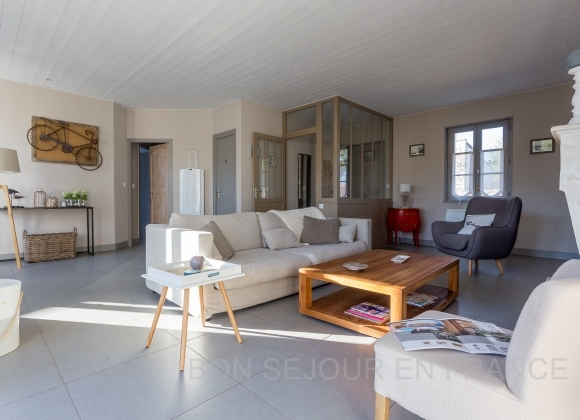 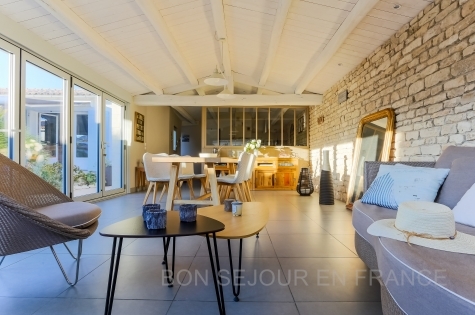 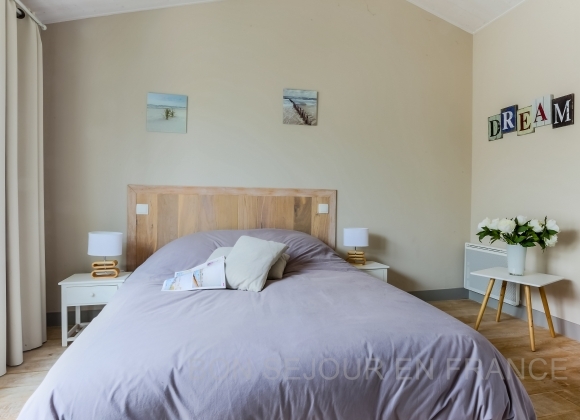 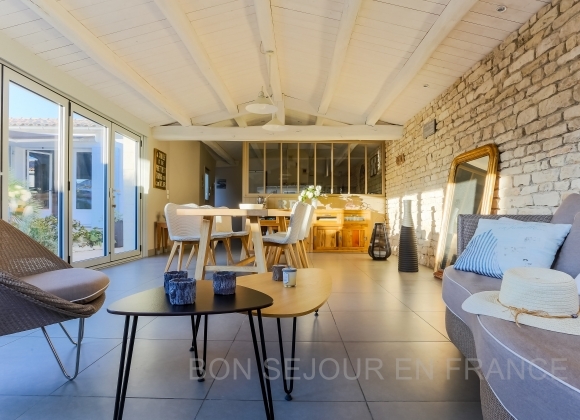 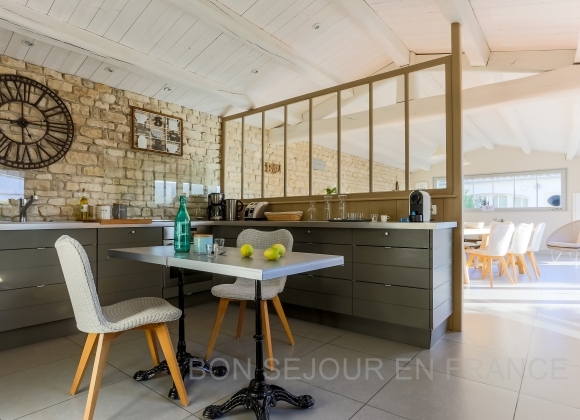 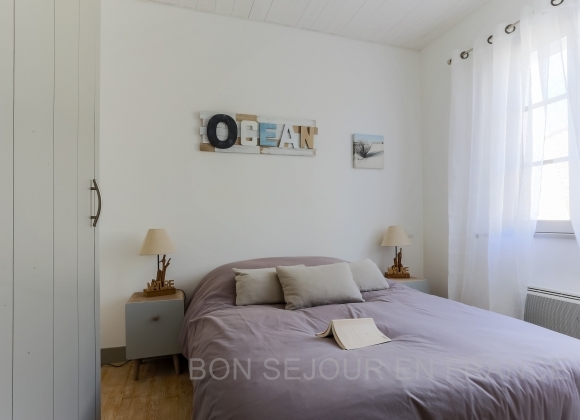 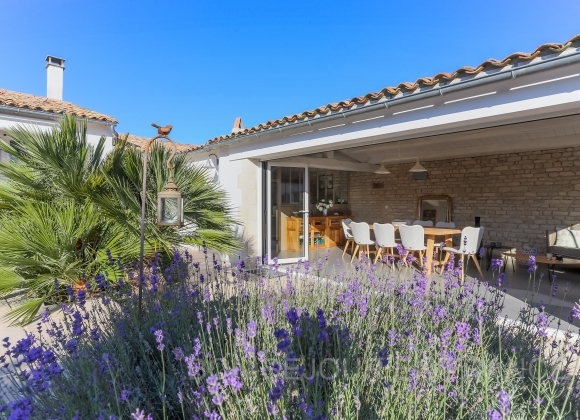 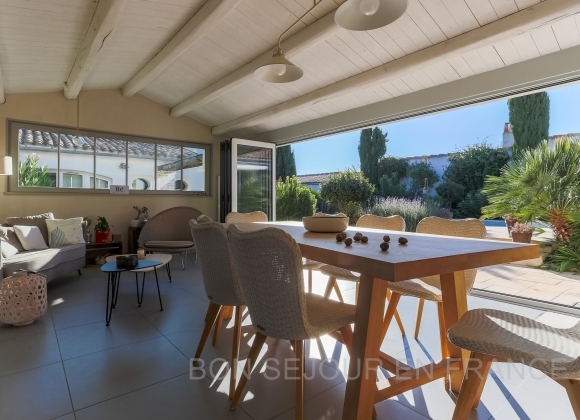 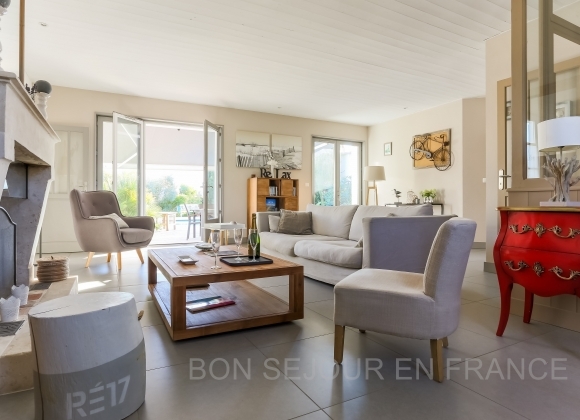 About 500 metres from the ocean, a high-quality holiday rental nestled in a little street of the village of in Sainte-Marie, with a 300 m² enclosed and sunny garden. 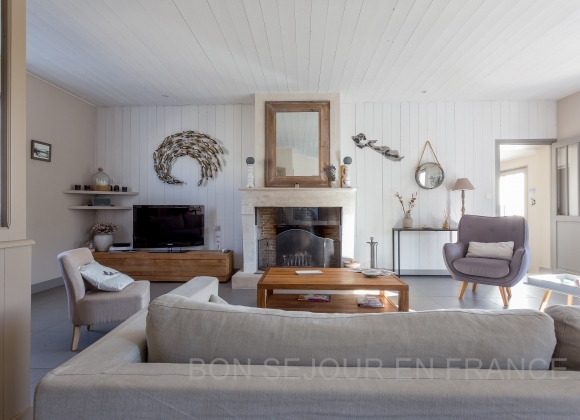 A holiday home that would be just perfect, delightful, comfortable & elegant. 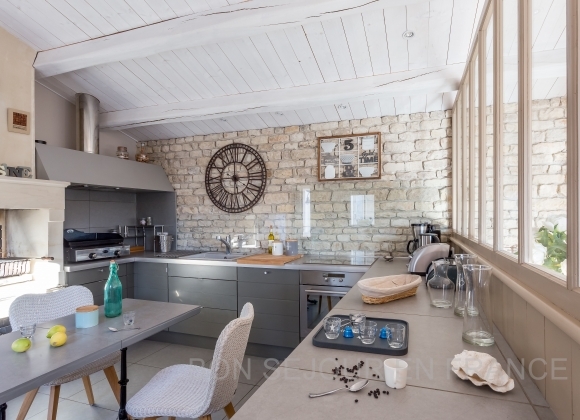 Good taste always appears to be achieved so easily. 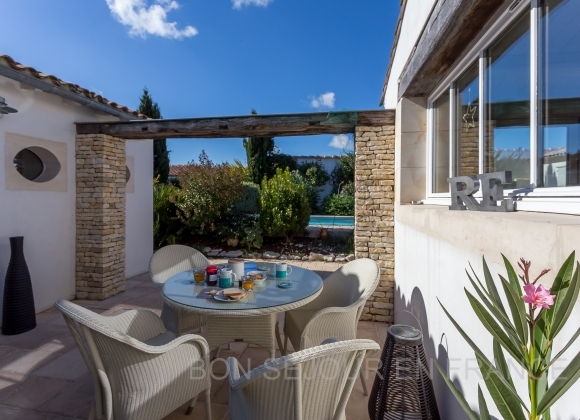 In front of the living room and the dining room, a large sunny terrace surrounds the pool. 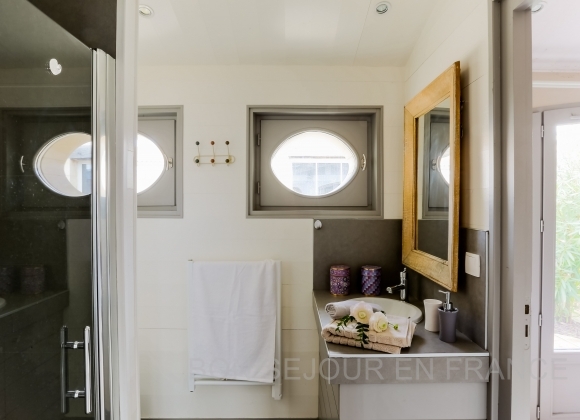 The electric awning allows you to alternate at your leisure shade or sun. 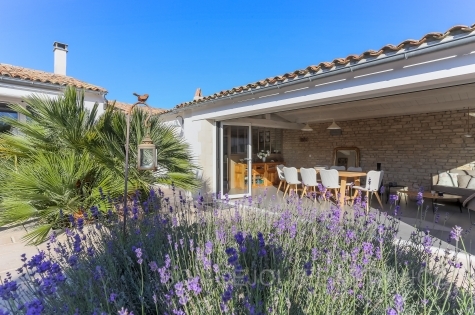 There is also a garage which can accommodate 1 car and bicycles.